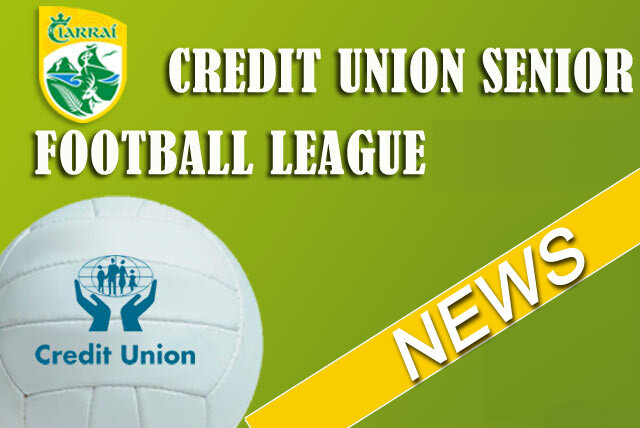 The launch of Credit Union County Leagues scheduled for last Thursday was postponed but it will be rescheduled for a night in the near future and on the night presentations will be made to Dr Crokes, Killarney Legion, Na Gaeil, Keel, Cordal, Ballyduff, Glenbeigh/Glencar and St Brendan’s College Killarney. As regards the county leagues, 'B' teams participating must have their first 15s approved by their respective District Boards and submitted for tonight’s CCC meeting (Wednesday March 7th) for them to be allowed play the following week. Round 1 games are fixed for next weekend and in light of the throw-in time for Kerry v Dublin Allianz League game being confirmed for 4pm on Sunday next, the default time for Round 1 SFL games is now 2pm on Sunday March 11. Where both Clubs are agreeable to play at an alternative time, please confirm same by 5pm Wed March 7th. Home PROs are asked to provide a short, balanced match report.